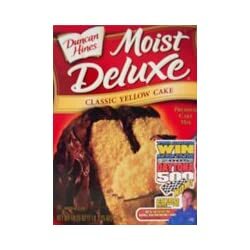 Duncan Hines Classic Yellow Layer Cake Mix 18.25 oz - 6 Unit Pack Obviously, the price is right -- so that's 1 star right there. And the convenience of super-saver delivery spares me I don't even know how many trips to Niger. That's another star.